The Enclave offers spacious interior seating for up to seven adults and room to stretch thanks to second-row captain’s chairs. Advanced connectivity with Android Auto and Apple CarPlay capability, as well as optional 4G LTE Wi-Fi makes connecting to essential content easy. Even rear passengers enjoy plenty of space thanks to the 33.5 inches of legroom and as much as 48.5 inches of hip room. With the rear seats folded, the Enclave delivers as much as 97.60 cubic feet of total cargo volume – plenty of space for gear. Drivers seeking more don’t have to go far, though; the ultra-posh Avenir line brings Denali-like style to the Buick lineup for class like you’ve never seen on Borger streets. 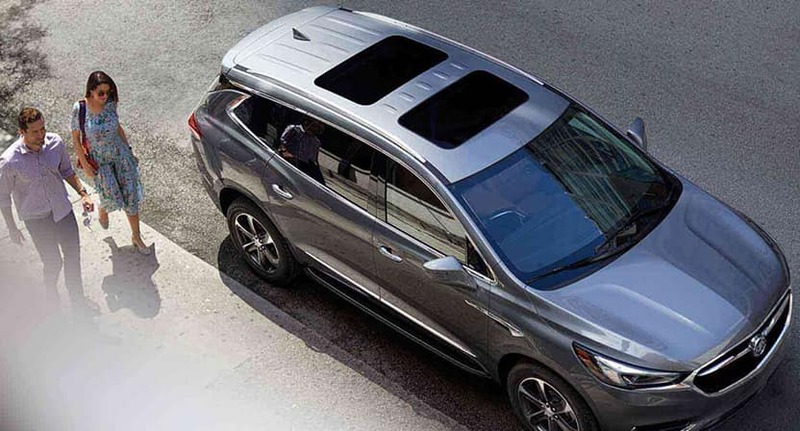 With all the 2018 Buick Enclave interior has to offer, as well as towing capabilities, it’s little surprise that Buick is still a favorite of American luxury car buyers. Schedule your test drive today at Brown Automotive Group and see why the Enclave is leaving the competition in the Texas dust.